Anchorage — known fondly as the City of Lights and Flowers — boasts an award-winning trail network that offers awe-inspiring views of some of the nation’s most breath-taking scenery. More than 294 miles of paved and unpaved trails wind through the city’s urban center, wrap around coastline neighborhoods, and stretch into the foothills of nearby Chugach State Park. Keeping this extensive trail network free of crime and physical hazards is a never-ending and demanding task. The Municipality of Anchorage has successfully met this challenge through the adoption of an innovative community-based program called Trail Watch. 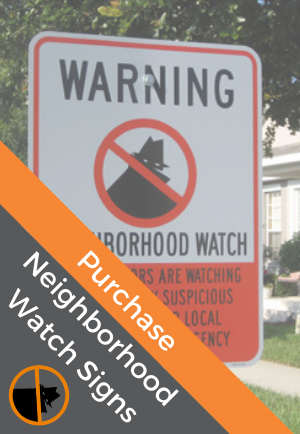 Trail Watch is based on the same principle as Neighborhood Watch—that bringing community members together to re-establish control of their neighborhoods promotes an increased quality of life and reduces the crime rate in that area. Although Trail Watch members do not necessarily reside in the same neighborhoods, they share a common love of and vested interest in the health and welfare of the city’s green spaces. The Anchorage Mayor’s Office began development of the Trail Watch program on August 1, 2003, in response to a series of assaults on female joggers that had taken place the previous June and July. City planners began by conducting a series of meetings and interviews with individual trail users and local outdoors organizations, which revealed several common safety concerns. Topping the list of issues mentioned were poor lighting and overgrown vegetation. Respondents also noted that a lack of signs, maps, and markers made it difficult for trail users to navigate and, if injured or victimized, correctly articulate their location to emergency responders. Complicating matters, law enforcement acknowledged an inability to accurately track the number of incidents occurring on Anchorage trails due to a deficiency in the reporting system. Despite these concerns, respondents also revealed that they felt strongly about particular parts of the trail system, and many stated that they used certain trails daily. These users expressed a willingness to take an active role to keep the trail network safe and well maintained. Based on initial findings from the interviews, it became clear that Trail Watch would require a strong community-based core. When the program was officially launched in September 2003, it focused on five goals: establishing volunteer patrols, enhancing signage, enhancing trail visibility, improving the trail maintenance reporting system, and developing a better crime reporting and tracking system. Volunteers are the heart and soul of the Trail Watch concept, each filling one of two important roles. Most participants are Trail Watchers, individuals who wear Trail Watch logo gear and commit to carrying a cell phone when using the trails in order to report suspicious activity and hazards (such as downed tree branches) to the appropriate authorities. Like Trail Watchers, Ambassadors carry cell phones to report incidents and maintenance problems. However, they are further trained to assist lost trail users, help with simple repairs such as patching flat bicycle tires, and can perform basic first aid, if needed. Trail Watch Ambassadors wear special red vests and agree to devote approximately two hours to the program each week (enough time to complete a round-trip segment on a selected trail). Volunteers use the Trail Watch website to submit online summaries of trail conditions (warning the community of icy bridges and flooded paths, for example) and to immediately report maintenance issues such as erosion, graffiti, and broken lighting, which allows Anchorage Department of Parks and Recreation authorities to respond more quickly. Like their Neighborhood Watch counterparts, Trail Watchers and Ambassadors do not confront or arrest suspects but serve as the extra “eyes and ears” of the trail system—a visible presence that helps deter crime and ensure public safety. Besides providing a haven for criminals, neglected paths and trails expose users to physical risks. Overgrown shrubbery, crumbling pavement, and fallen tree limbs obstruct views and create falling hazards to cyclists, runners, and walkers. Trail Watchers and Ambassadors (and other community members) are encouraged to volunteer for specially organized cleanup and repair projects. The Trail Watch safety makeover program began in 2005 when the Department of Parks and Recreation and the Trail Watch Advisory Committee partnered with the Anchorage Police Department to prune overgrown vegetation in order to create a buffer zone against brush fires. Several special projects are now completed each year, with activities ranging from planting saplings to spreading gravel in order to shore up muddy, low-lying trail segments. Safety makeovers and other Trail Watch initiatives are possible, in part, thanks to invaluable assistance from the public service, military, and nonprofit communities. Representatives from the Anchorage police and fire departments serve on the Trail Watch committee and have collaborated with Parks and Recreation to improve reporting procedures and enhance interagency communications. “We have worked with dispatchers of both departments to update their trail maps and databases in order to improve response capabilities,” McCleary explained. “We’re working hard to take it to the next level—to have reports into their databases use a common code so that we can take incident information coding and notify our ambassadors to give them a head’s up.” A newly implemented police department subcode (TR) will enable law enforcement to generate better statistics about crime on Anchorage trails. Nonprofit and special interest organizations also lend ongoing support with issues such as illegal squatter camps, a difficult-to-combat problem in Anchorage. Usually secluded or concealed by vegetation, these sites often are a haven for drug and alcohol abuse and violent crimes. In the past, illegal campers have died from exposure to the elements or have themselves been victimized. Illegal campsites also generate litter, which pollutes the environment and can attract hungry bears. “In some cases, we encounter thousands of pounds of garbage in these camps,” McCleary said. While Trail Watchers and Ambassadors keep a lookout for and report illegal camps, cleaning up these sites is a challenge that requires additional manpower. The Parks and Recreation/Trail Watch staff work with the Anchorage Police Department and the Alaska Responsible Retail Beverage Association, whose team of volunteers has removed more than one ton of rubbish from illegal campsites. Launching a community safety initiative such as Trail Watch—and sustaining program momentum—requires significant funding. Generous financial support from business community sponsors such as Conoco and sporting goods retailer REI has allowed Parks and Recreation to produce better Trail Watch maps and improve signage. Since the program’s inception, trail signs have been installed at the underpass and overpass of every trail-road intersection and at major trailheads. Several local sponsors, including United Tool Rentals and Costco, have provided supplies ranging from the chain saws used during makeover events to the bottled water that sustains thirsty volunteers. Perhaps the most unique relationship Parks and Recreation has established thus far is with Covenant House, a charity that provides assistance to at-risk youth. Covenant House and Trail Watch staff and volunteers have renovated an unused police substation near Westchester Lagoon. Dubbed Covy Café, the substation now serves as Trail Watch headquarters and as a job training program for area youth, who learn valuable customer service skills selling snack items. All café proceeds benefit homeless youth in Alaska. Covy Café trainees are also invited to experience the satisfaction of volunteering by taking part in makeover and cleanup projects with the Westchester Lagoon Trail Watch. Last year, retailer REI agreed to conduct an informal survey to determine if Trail Watch has improved trail safety. Over a three-week period, company representatives interviewed 400 trail users, asking whether or not the city’s trails felt safer and more inviting since the program’s inception. Eighty percent stated that they saw a difference, of which 70 percent believed that the changes were directly related to Trail Watch volunteers and special projects. The Trail Watch volunteer roster has grown from fewer than 150 volunteers to nearly 500 in the seven years since the program’s inception.